After I left the corporate world, one hard thing for me was being efficient with my time. Like many professionals, I needed an online scheduling system that allowed access to me, whether it was a 15 minute phone call or a 2 hour meeting with various parties. I needed some way that could replace the enterprise meeting planner, but without the cost and complexity. Keeps everyone in the loop by sending reminder emails etc. The above list might not work for someone that also needs to have meeting requests feed into a customer relationship manager (CRM) like Salesforce.com. Still others might want a service that helps to organize meetings. Below are two services I’ve been using that solve my issues. They either provide a free plan or a timed trial so you can try it out first. This is a powerful service that offers 5 plan levels from the free version to the enterprise version. 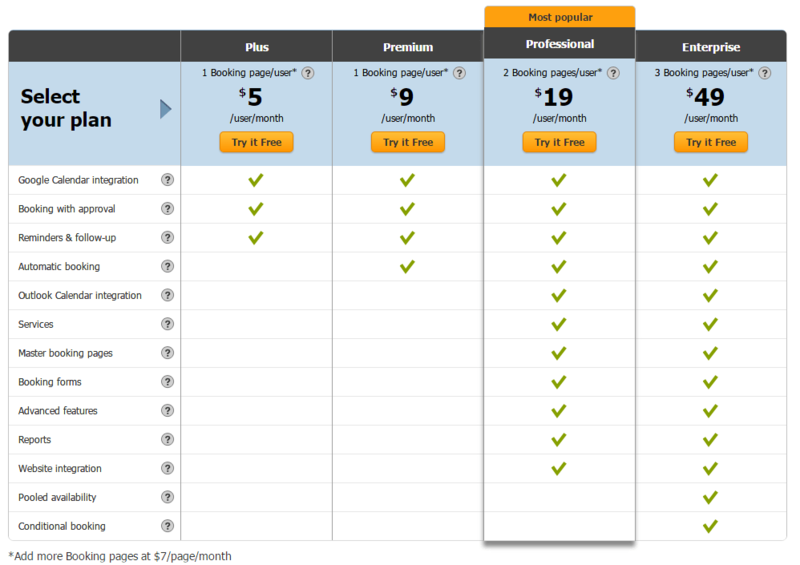 Each plan comes with a 14-day trial and you don’t need a credit card. With the latest release, you can see live demos of how the service works from a requester’s perspective including the mobile version, which uses HTML5. There were several features I appreciated with this service. First, it gave me a designated URL I could send to people so they could see my “Meet Me” page. This makes it easy to add a graphic that links to your page in your email signature. I also liked that it did not show my entire schedule to people. People could see which times were available when they clicked a date. While I liked this feature, others may prefer the opposite and wish to view multiple days. When someone requests an appointment with me, I get an email that presents the details. In the example below, the requestor has suggested 2 times that appear in green. I can select the preferred time and click the Schedule in Calendar button. The requestor then gets an email indicating my acceptance. I’ve found the service highly flexible with few drawbacks. The most noticeable one is that it is not possible for someone to reschedule an appointment. Instead, I would need to cancel the appointment and then we’d start over. 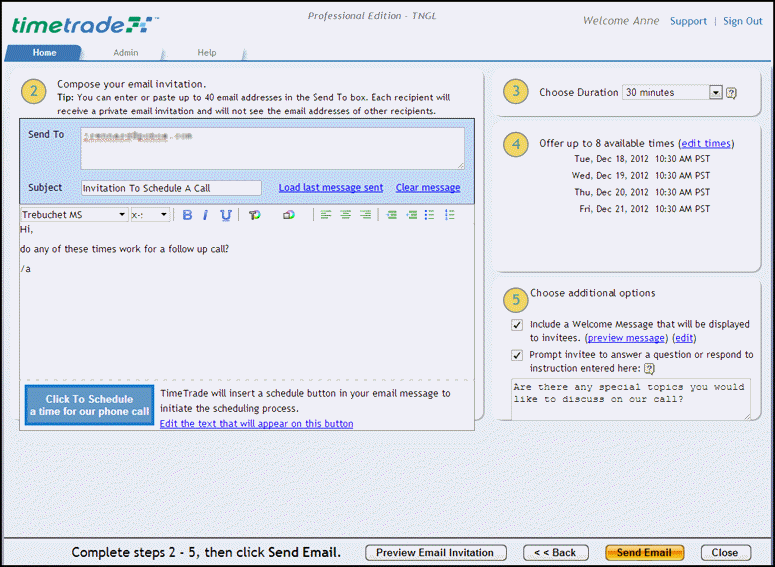 TimeTrade offers a number of service plans on an annual basis as well as a 30 day free trial. A key difference is their workgroup version, which integrates with some 3rd party service providers like Salesforce.com, Marketo and Eloqua. This service is appealing to people that have a website that captures leads. One stand out feature of their Workgroup plan is Smart Routing. 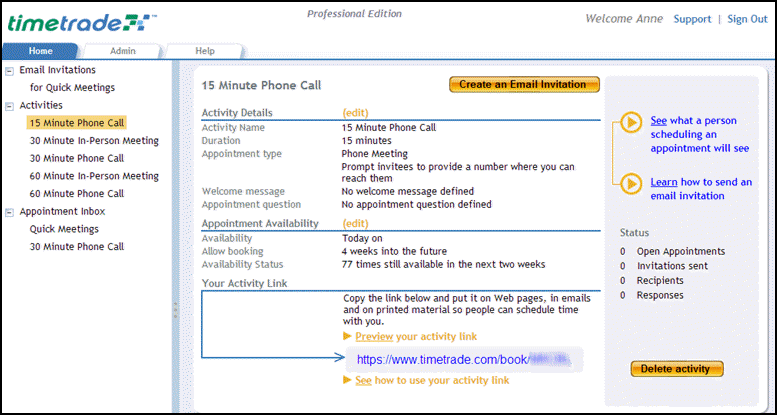 You can integrate TimeTrade’s code onto your website and let prospects book an appointment with the most relevant person based on rules. As example, if the prospect indicates they are from California, it would go to James, but if they are from New York, it will go to Robin. 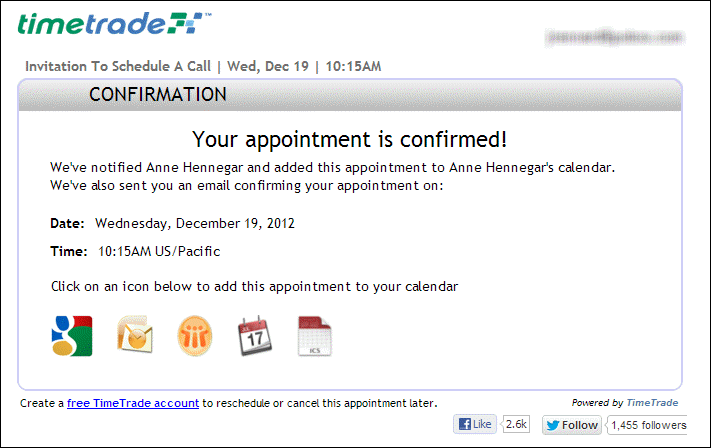 What’s nice about TimeTrade is that they make it easy for non-members to add the appointment to their own schedule. On the confirmation panel, they provide links to popular calendars. These options also appear on the recipient’s confirmation email. 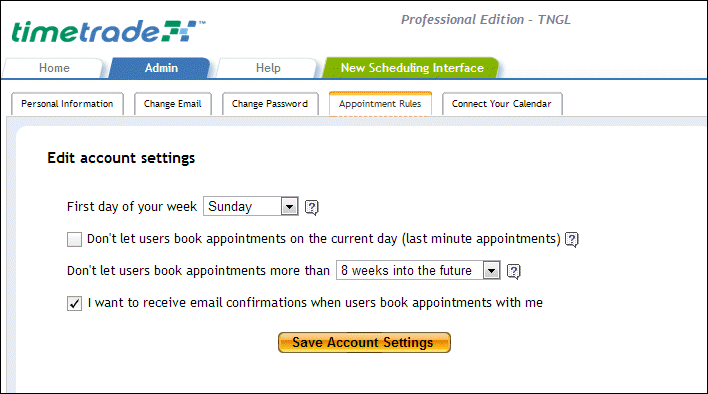 While you can reschedule or cancel a meeting, it does require you to set up a free account with Timetrade. According to the company, they are aware of the rescheduling issue and are looking at various solutions. 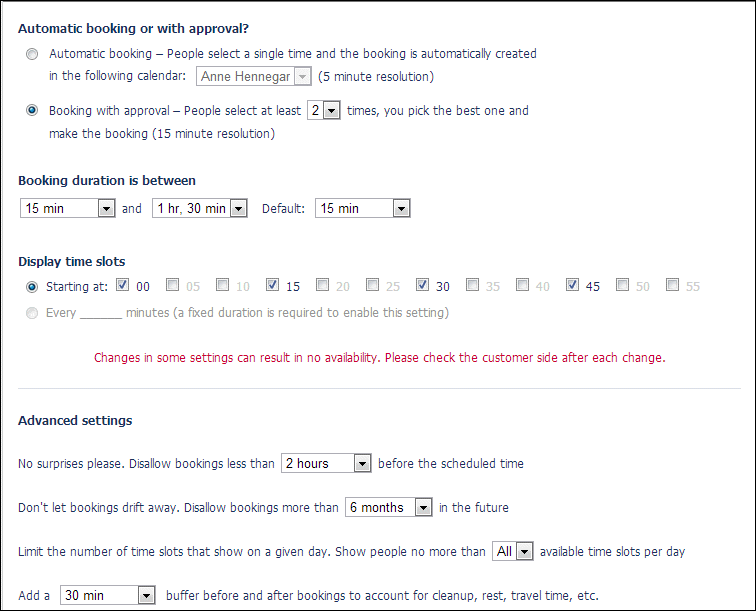 As with ScheduleOnce, they also offer appointment rules such as not letting people book on the same day. One difference is they provide unique URLs based on the activity type and duration. In other words, a 30 minute phone call would have a different URL than a 60 minute 1 on 1. You can then use these URLs or java script code in emails or on your website. If your job requires a fair number of meetings, I’d encourage you to check out these services. 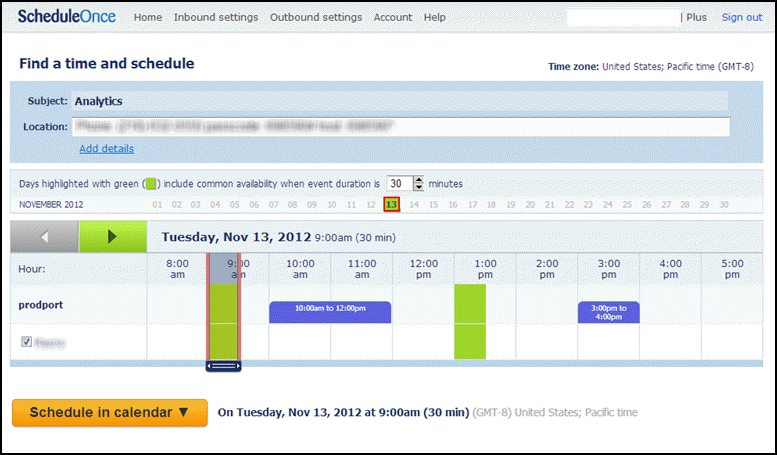 Either one will help streamline the booking process and add structure to your day. 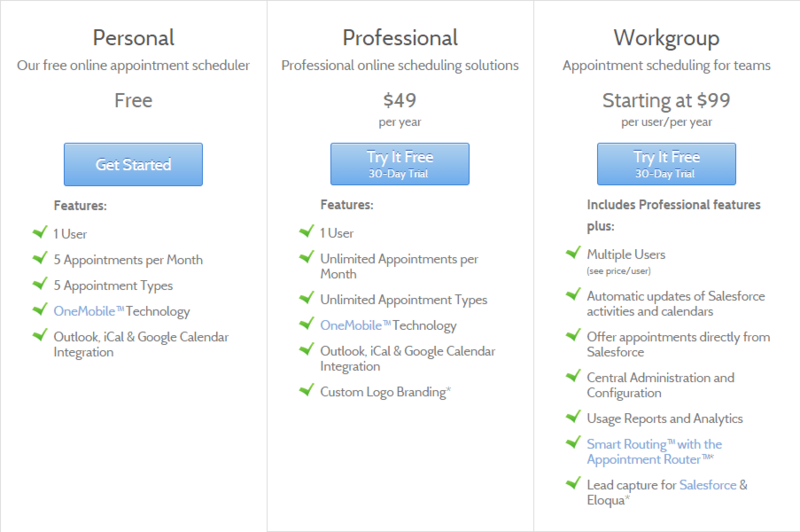 These services also remind people that your time is valuable, and you manage it.